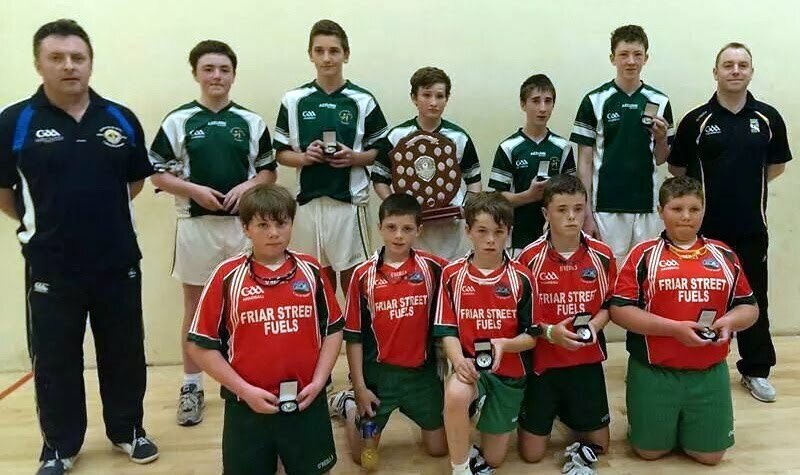 Kells Handball team of Eoin Brennan, Michael Power, Colin McKenna, Dylan Crehan, Conor Hoban and Darragh O’Keeffe travelled to Saval, Co. Down to compete in Division 4 Feile na nGael 2014 over the weekend. On Saturday they played and defeated Truagh, Co. Monaghan and St. Pat’s, Cavan. In the semi final they defeated Kells, Co. Meath. In the final on Sunday they defeated Cashel, Co. Tipperary. On Saturday evening Eoin Brennan represented his club and county in the Feile Division 4 skills competition where he brought home gold to the club. Well done to all the lads who represented their club with pride and displayed some great handball over the weekend. A big thank you goes to all their coaches, and also to all the parents who travelled with them.